Home Community PBSJ Offering Free Music Lessons – for Adults too – San Jose, California! 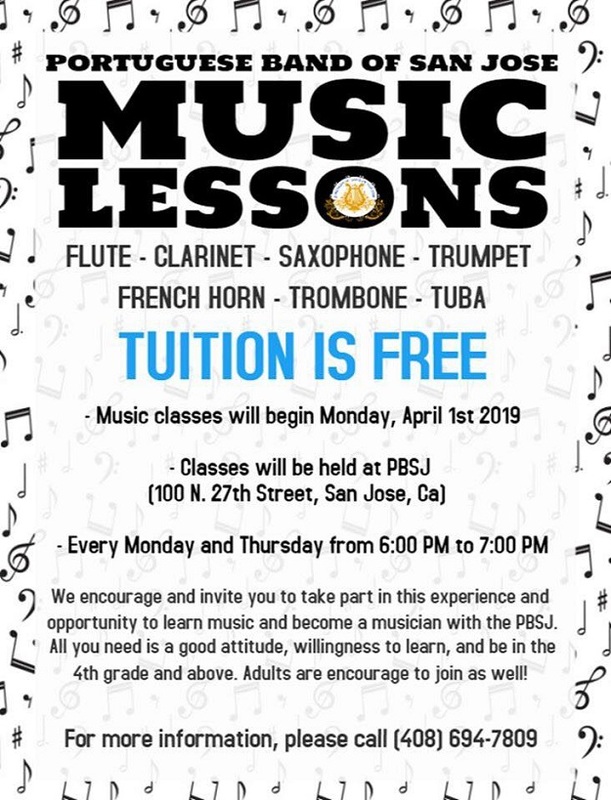 The Portuguese Band of San Jose (PBSJ) is offering the Community Free Music Lessons to anyone grades 4 and above with the desire to learn the universal language of music and how to play an instrument. This is a great contribution by the PBSJ and an opportunity to help preserve this important Portuguese tradition while also enhancing your child’s scholastic and artistic abilities. The PBSJ is also encouraging folks of all ages (learn with your kids!) to think about taking up a musical instrument! It’s never to late to learn and keep exercising your brain!